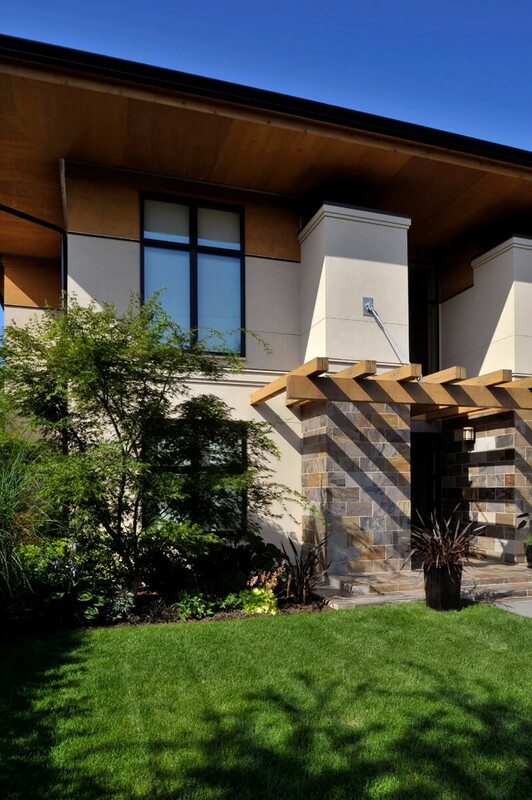 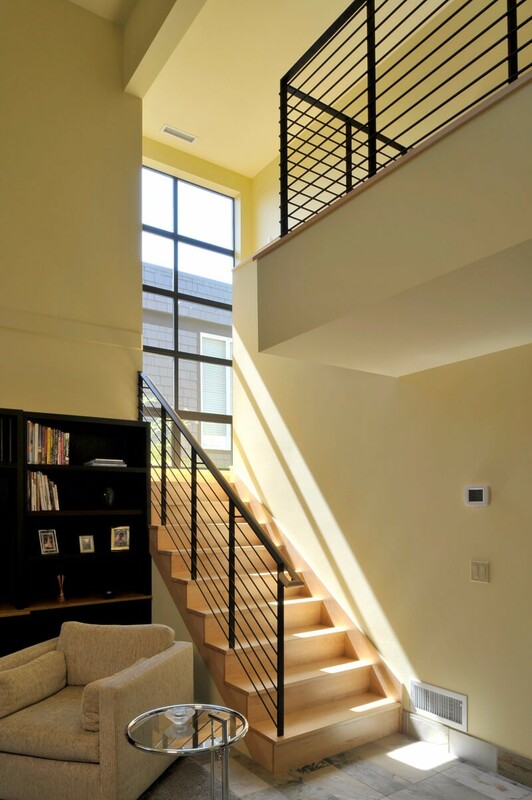 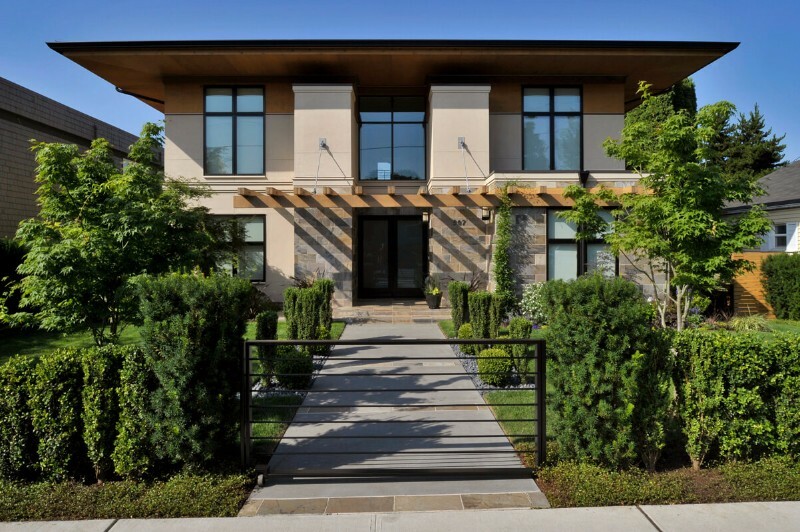 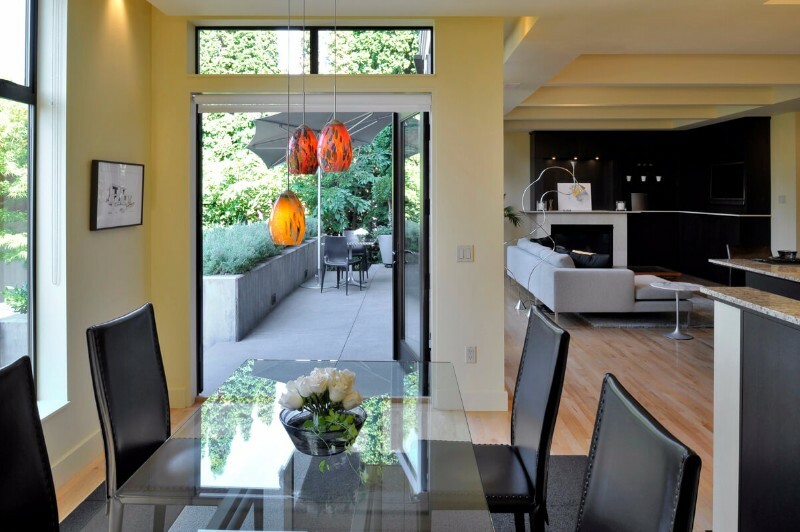 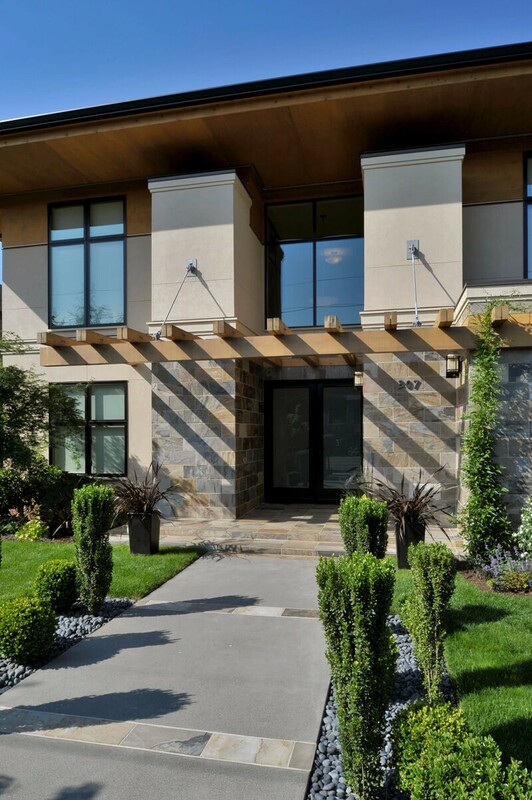 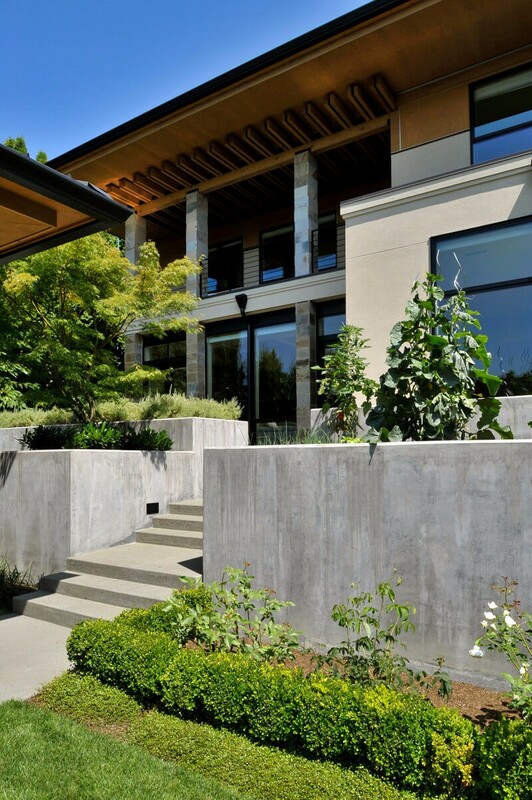 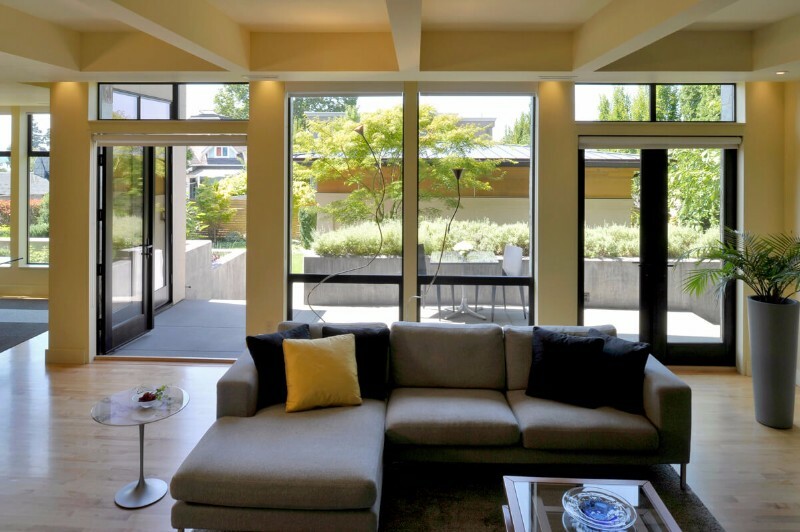 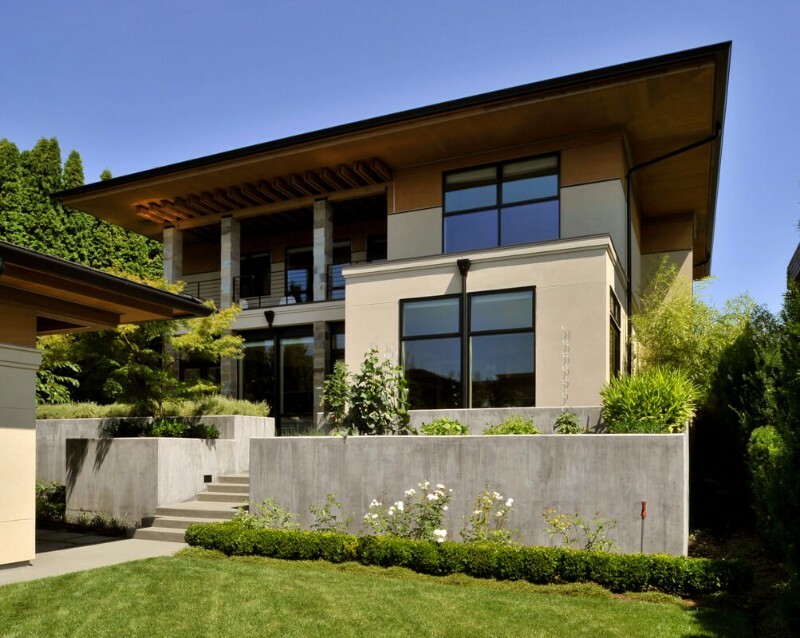 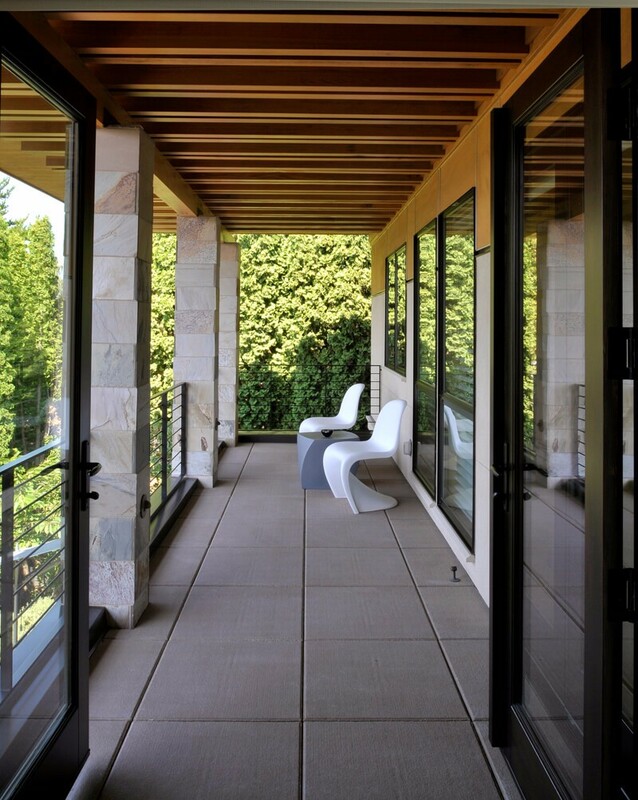 The custom West of Market Residence, located in Kirkland, Washington, is simple yet formal and sophisticated. 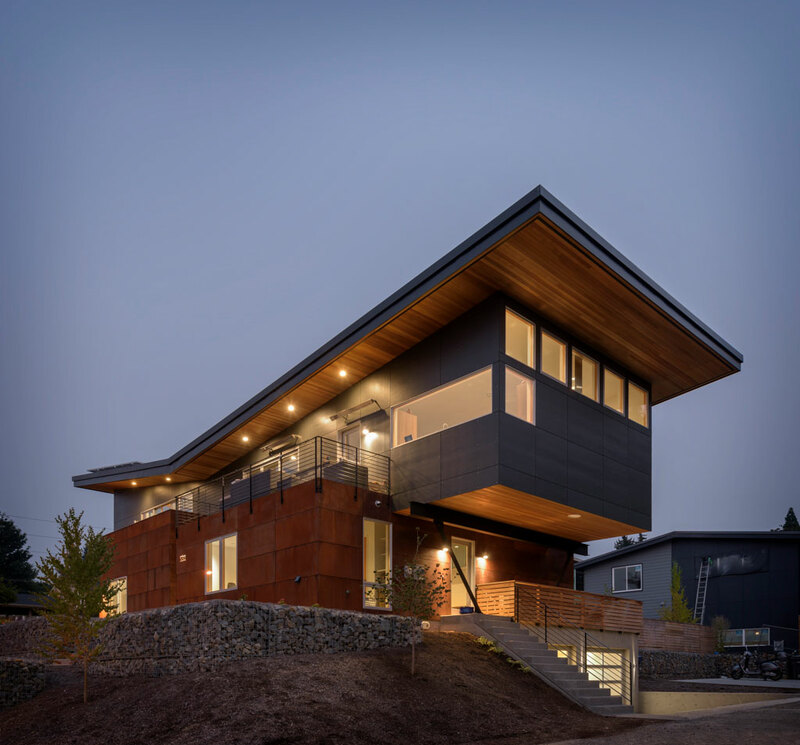 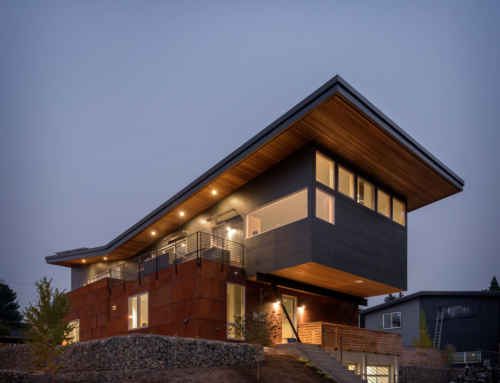 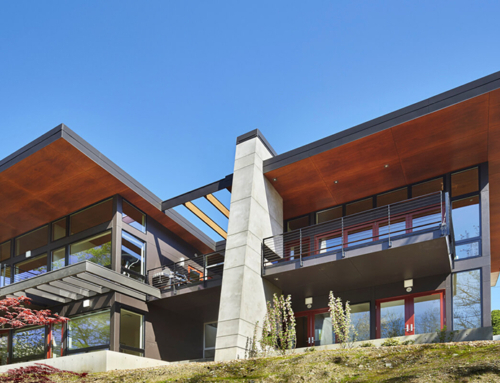 The residence sits on an urban 7500 square foot lot with views of Lake Washington. 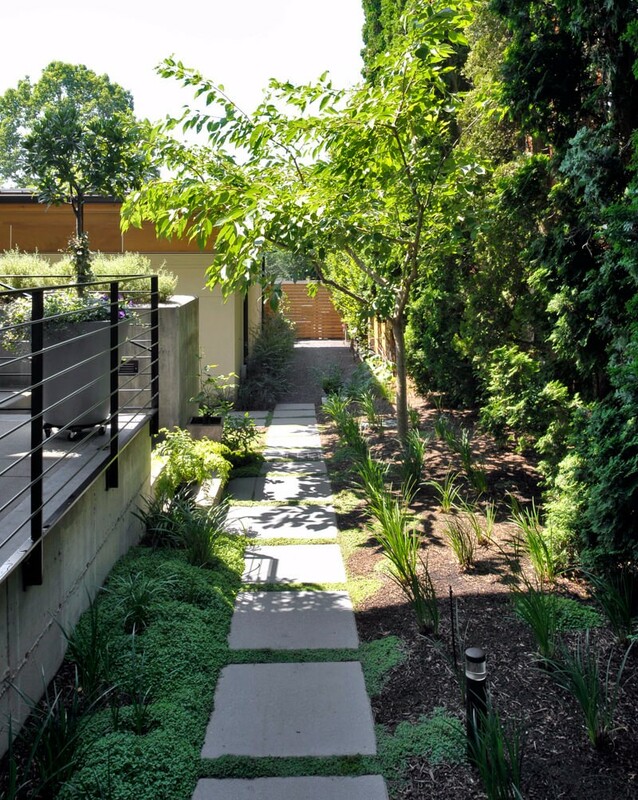 The owners are a professional and a Japanese garden designer. 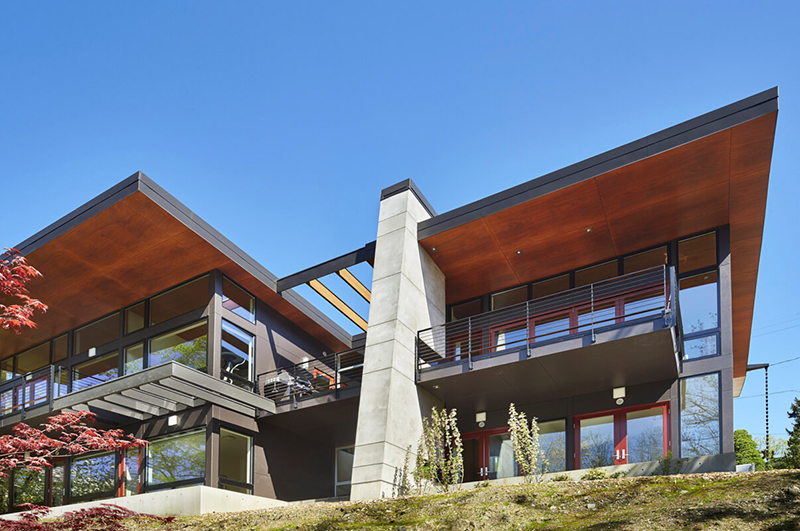 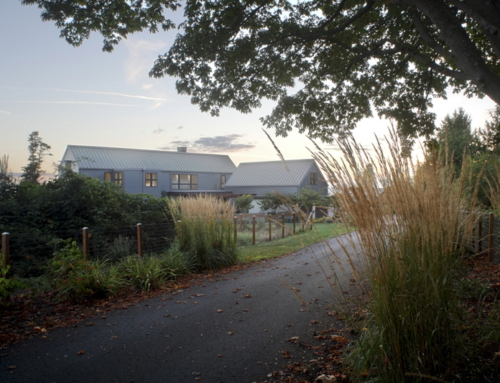 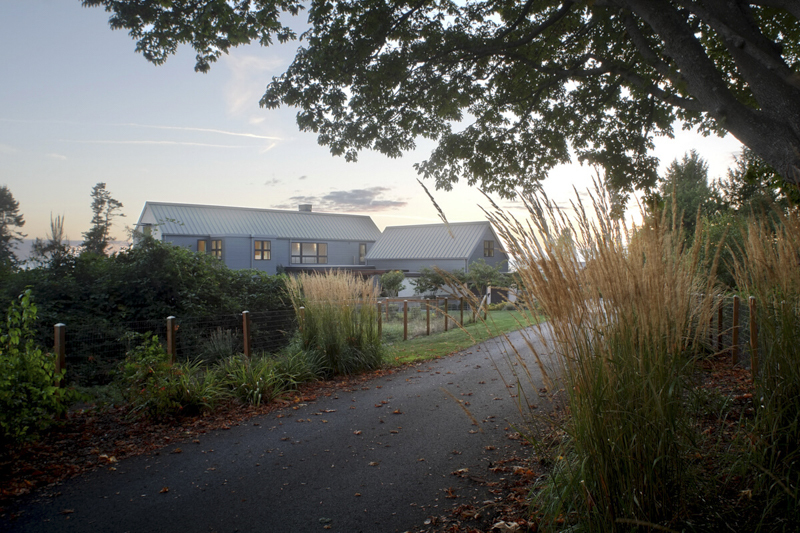 The roofline of the residence and the simple Portland cement plaster and stained clear western red cedar create an archetypal image of “house”. 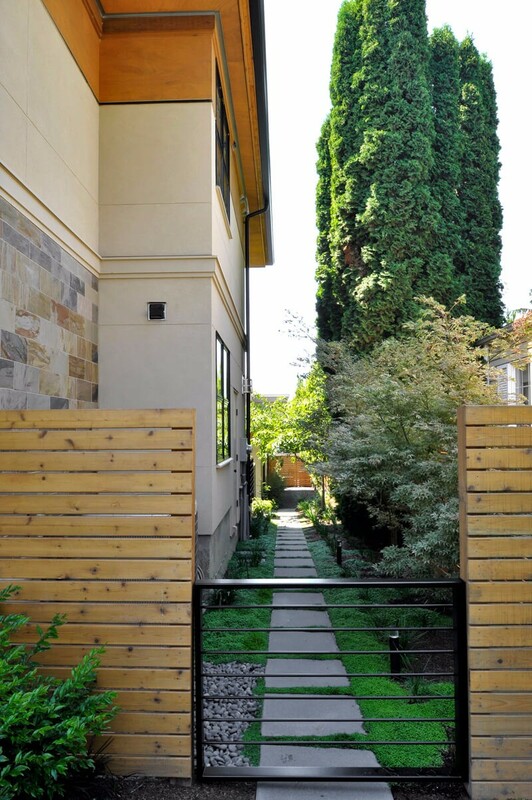 The West of Market Residence has a formal entrance facing the street and layered gardens, terraces, and balconies facing the private rear yard. 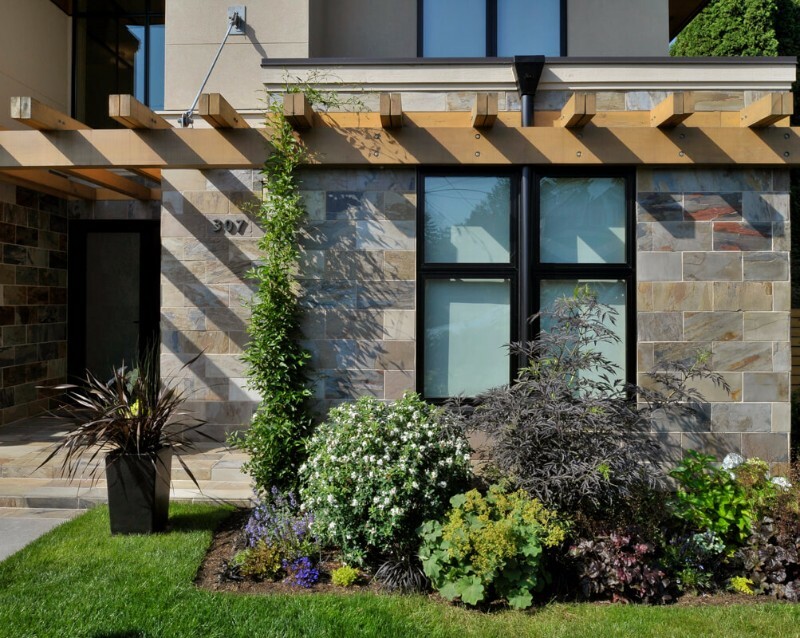 A cedar trellis under the overhanging roof at the master suite lends an outdoor feeling to a southern garden balcony. 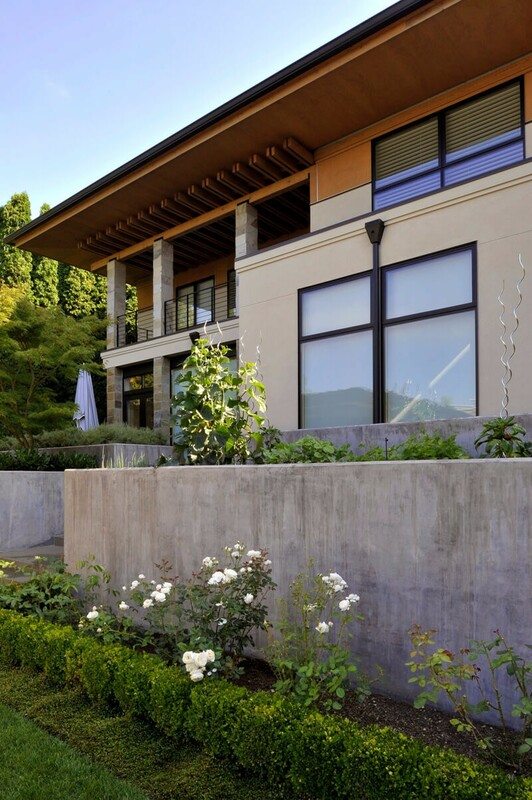 The owners wanted to incorporate a number of flower and vegetable gardens into the residence. 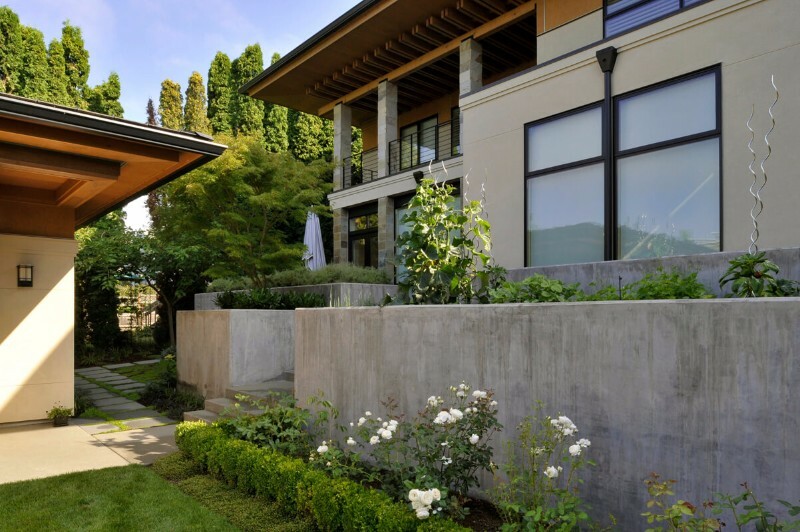 This was done through tiered planters, planted paths, and lower garden spaces. 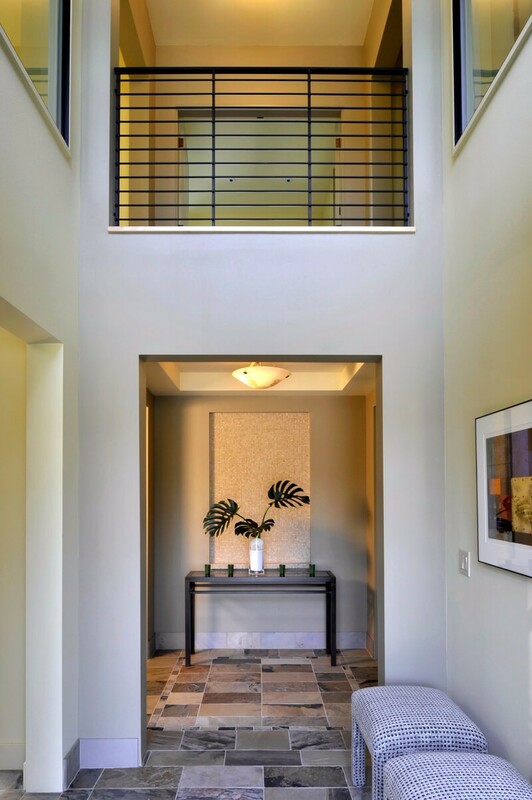 The interiors feature three bedrooms and bathrooms, a formal entry hall, office, and open living-dining-kitchen space. 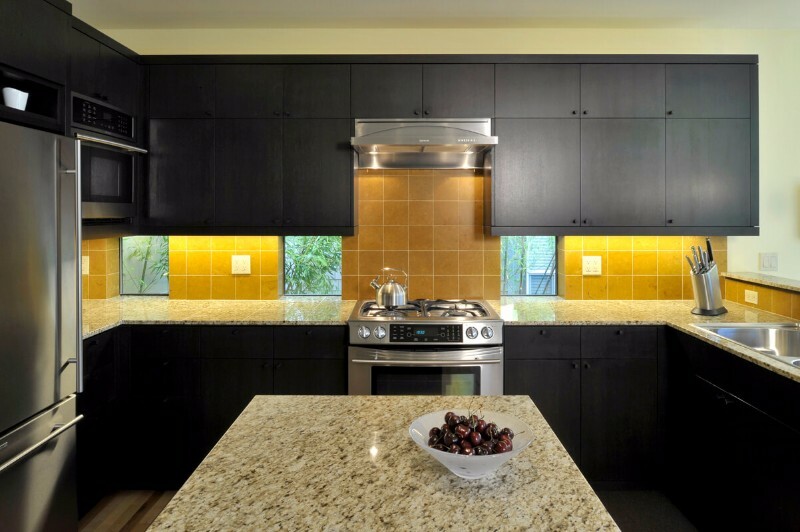 Dark, almost black, stained quarter-sawn oak cabinetry contrasts light walls and flooring on the interior of the house. 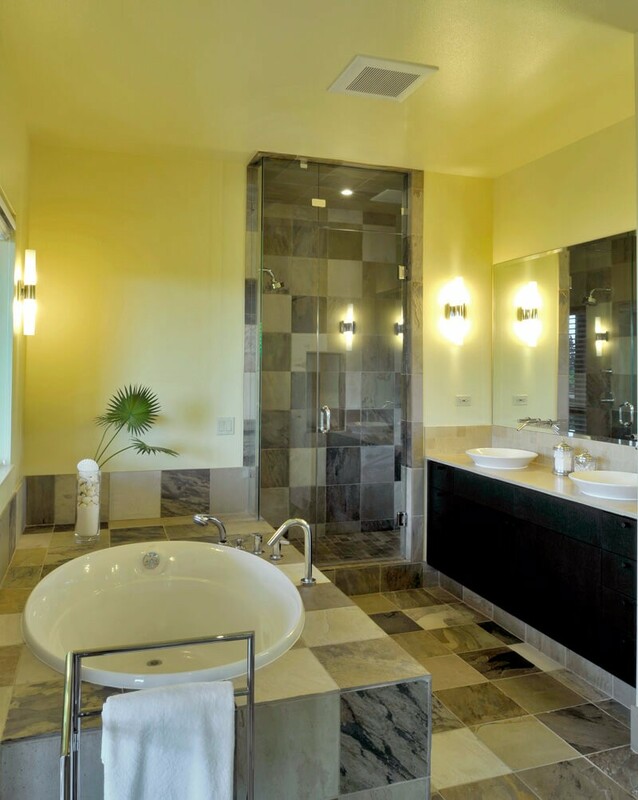 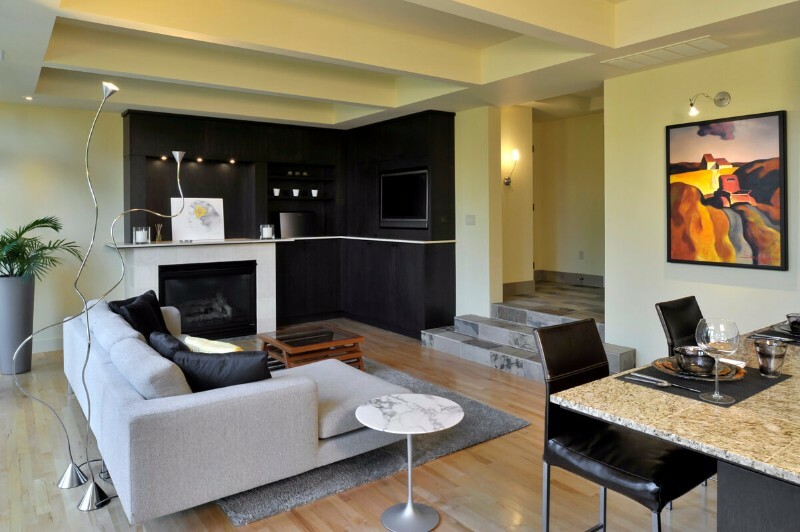 Coffered ceilings, glass, maple floors, and integral lighting result in light Mediterranean spaces complemented with natural stone tile, mosaics and colored glass fixtures. 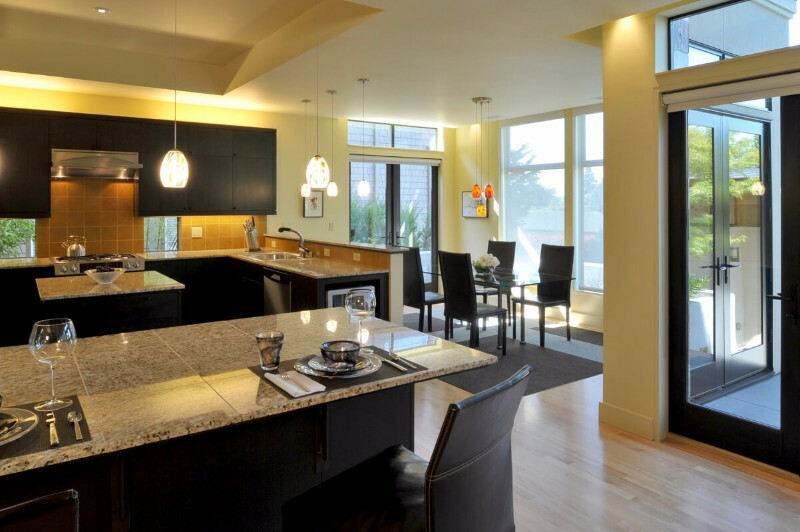 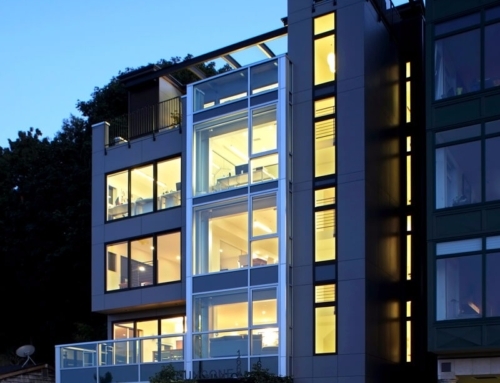 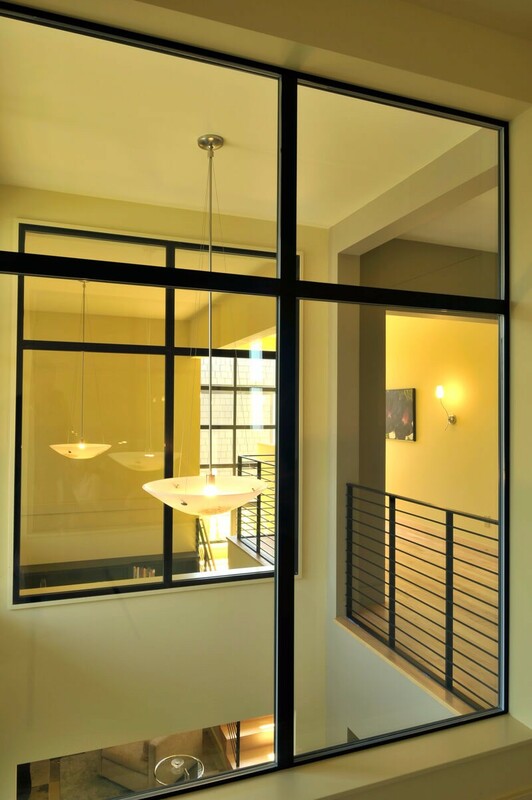 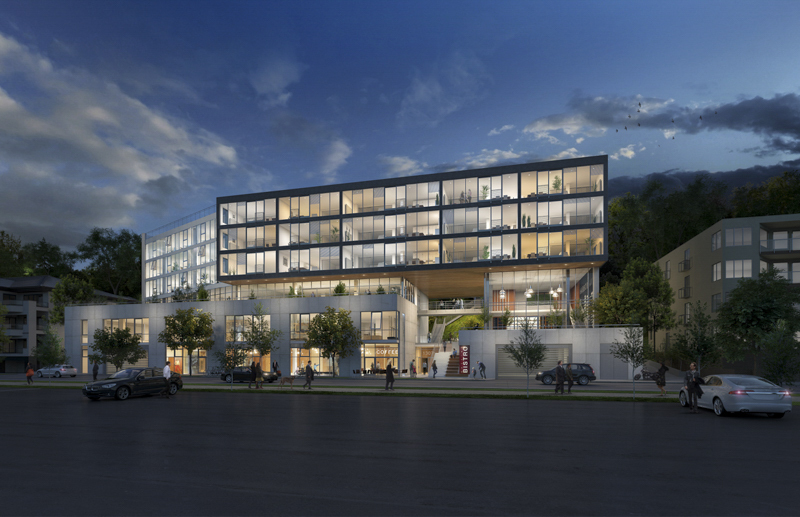 The owners of the West of Market Residence worked with Swenson Say Faget Structural Engineers, Robin Freeman, Interiors, LightWire, Lighting Design, and Bender Chaffee Construction alongside Rhodes Architecture + Light. 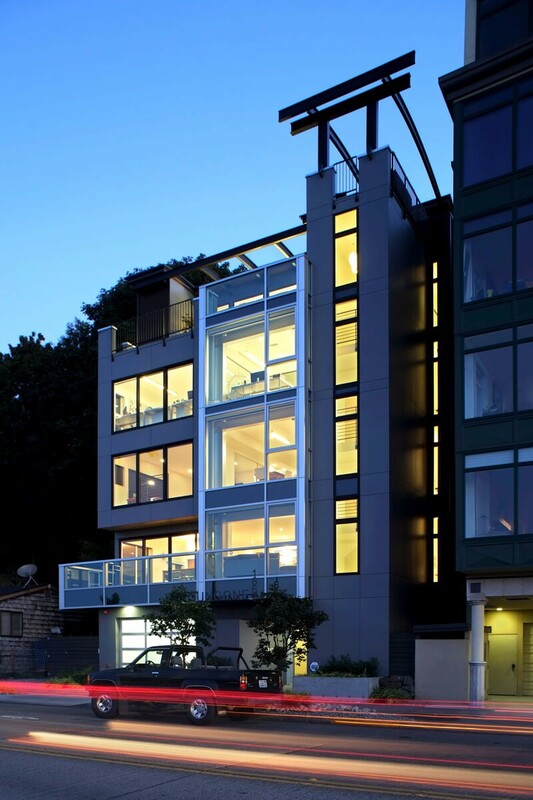 Construction was completed in 2009.